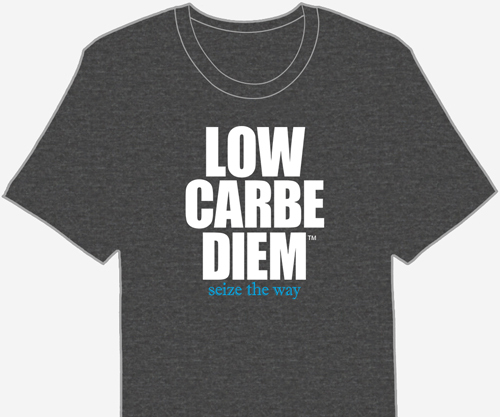 If your carb count is out of control lately, you’re craving or simply stalled on Atkins, take three days and reset your keto clock. Choose your calorie range, mix and match 12 meals, use add-ons to up your calories and fat. Breaking your stall involves trying something new – something different. Changing your ratio of fat to protein, and dropping carbs to rock-bottom levels are effective stall-busters. We’ve combined both techniques in a simple (but never boring) mini meal plan. The premise is simple: limit calories, drink high fat beverages and eat healthy high fat foods – spreading meals out throughout the day. This meal plan keeps you satisfied and full while burning stored fat reserves. End your weight loss plateau with three days of delicious. 1. Choose three or four meals for each day of your meal plan. This will give you a starting base of 900-1200 calories each day. 2. Add remaining calories by eating high fat add-ons. Each add-on option is around 200 calories, very high fat and very low carb. Use the online keto calculator to find out how many calories you need to maintain your current weight. Decide how many calories per day to eat during the plan. For greater results, choose a plan that’s lower in calories than your daily required amount. This creates a calorie deficit, translating into fat loss. All meals, desserts, snacks and beverages are very high fat – ensuring your weight loss is fat loss. Each stall breaker meal has around 300 calories. Eat any three or four meals on any day. Repeat the meals you enjoy – that’s fine to do for just a few days. Make ahead, store in fridge or freezer. Use leftover veggies to mix and match ingredients. Make a large batch and store in the fridge (lasts a few days) or freezer (lasts a month). Drizzle the keto pancake batter onto the cook surface. Start with an outline and fill in with squiggles. These keto pancakes work in chocolate (add cocoa powder) or mocha (add 1 tbsp strong coffee or espresso). This stall buster recipe is a little lower calorie than the rest. Be sure to add one ounce of cream cheese, a teaspoon of grass-fed butter or olive oil over the top. Bake your eggs in the oven instead. Fold crepes gently into muffin tins. Carefully add the scrambled eggs and cooked, chopped bacon. Top your extra crepes with copious amounts of protein like sausage, ham, eggs or bacon for a breakfast pizza. The Classic Buttery Crepe recipe is included below. Citrus blended with cool, fresh cucumber and healthy, high fat avocado. The spiralized veggies stay firm and crisp. This stall breaker recipe also works with zoodles. Works with bite-size nuggets and chicken fingers. For added crunch, roll in unsweetened, shredded coconut. Convenient base salad with only two net carbs and plenty of veggie options. Top your stall breaker salad with 4 ounces of protein and 1 tablespoon of full fat salad dressing, or olive oil and red wine vinegar. Perfect make-ahead snack: slice into carb-controlled portions, wrap and store in the fridge. Substitute feta or mozzarella cheese for the ricotta, kale or arugula for the spinach. Try these meatballs grilled, baked or add to a slow-cooker. For a quick stall breaker meal, eat 5 meatballs (280 cals), or 6 (336 cals). Wrap meatballs in bacon and place seam side down on a sheet of foil, or place into muffin tins. Crispy and savory, these super low carb chips add crunch when you crave it most. Top your parmesan cauliflower chips with a bacon wrapped meatball. This classic garlic butter sauce also works with chicken and beef. Make a few extra servings to add to the side salad. Top with 1 tablespoon of full fat dressing or olive oil. This dish is excellent hot or cold. Roll leftovers up in a crepe and serve chilled for lunch. Pound out steak, add spicy peppers and cool feta cheese. Slice into perfect portions. Leftovers store and travel well for work or school. After your base meals, enjoy a a few add-ons to achieve your meal plan calorie goal for the day. Each high fat stall breaker add-on has around 200 calories. Bulletproof® Coffee treats leave you full, focused and energized for hours, crash-free – the perfect stall buster! Bulletproof® Coffee is an upgrade for your regular cup of Joe. Healthy fats are blended and frothed into freshly brewed coffee. Bulletproof® Coffee is satisfying enough to double as a meal. Bulletproof® Coffee how-to, plus recipes for coffee, cocoa, candy, tea, to-go drops, ice cream, pops and mousse. Increasing fat in your diet burns more stored body fat. Fat bombs are concentrated, delicious bites of healthy fat. Fat bombs are any high fat low carb recipe or food (Coconut oil, flaked coconut, Mascarpone cheese, cream cheese, macadamia nuts), usually 85% fat or more. 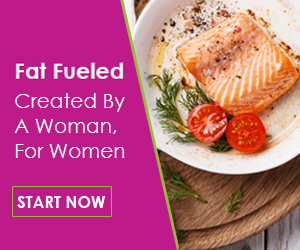 Choose any fat bomb recipe (savory, citrus and sweet) plus a printable, 19 fat bomb recipe eBook. Soul Bread is an Atkins Induction friendly, high fat low carb bread. How is this possible? Soul Bread doesn’t have gluten or flour. Instead, Soul Bread uses isolate whey protein powder, baking soda, eggs and all-natural xanthan gum to get the fluffy rise and texture it’s famous for. 2 oz chicken or beef, a thin slice of tomato and onion, 1 teaspoon mayo/olive oil, or a slice of avocado. 2 slices of bacon, 1 teaspoon mayonnaise, lettuce and a thin slice of onion or tomato. 1 scrambled egg with chopped veggies, and butter or 1 oz cheese. Per Slice: 207 cals, 1 net carb, 17 fat, 14 protein. Click the recipe to view, print or save. Or grab all the Soul Bread recipe variations, including Bacon Cheddar, Lemon Blueberry, Toasted Onion, Cinnamon Pecan and Rosemary Garlic.